Two of our projects are listed in the 2000 Guinness Book of World Records. 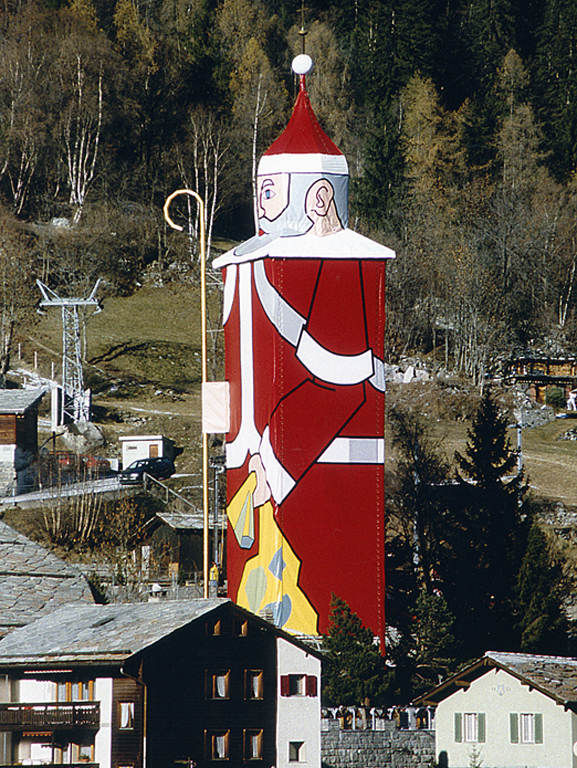 On 06/12/1998, we turned the church steeple in St. Niklaus VS to the largest Santa Claus in the world, standing 36.8 m tall. 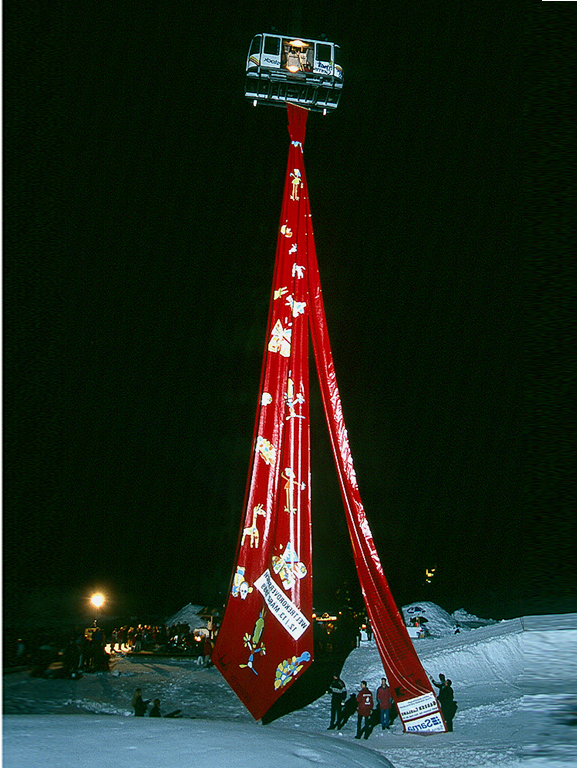 On 12/03/1999, we produced the longest tie in the world for the artist Anna Zgraggen at 57 m, which could even float on water thanks to an inflating system. On 07/12/2011 we realized a third Guiness book record with the largest igloo in the world. In Kühtai in the Tyrol a snowiglu with a diameter of 12 m was built with our IglooFormer.